Do you want to get rid of a few unwanted items or start selling regularly? Have you tried Craigslist for unrivaled coverage? We all have something that we could do without. That unwanted Christmas gift or the thing you bought that seemed like a good idea at the time and never got out of the box. So what about selling them and making some money back that you can then use for something else? Craigslist is the well-known site where you can sell just about anything for a profit in more than 700 locations in 70 countries. With the information in this audiobook, you can rid yourself of unwanted things that are cluttering up your house and make some money to put toward that vacation or the new car you always wanted. 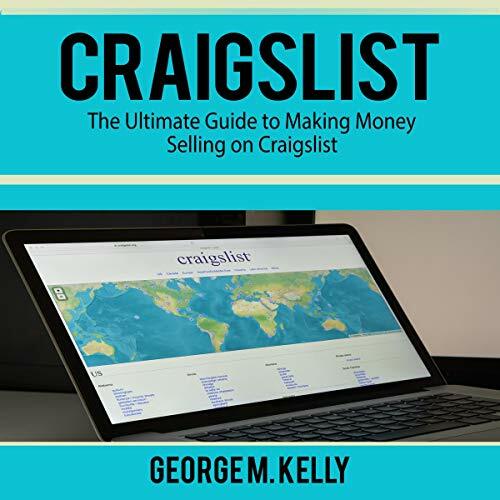 Get a copy of Craigslist: The Ultimate Guide to Making Money Selling on Craigslist now and see how it could change your fortunes.